Perfect, affordable starter townhouse in Westminster. Hardwood floors in the dining room, foyer and kitchen. A large family room right off the kitchen with french doors leading to the deck in the private, fenced back yard. Upstairs are 3 bedrooms; with 2 baths, one is the master bath in the master bedroom. Partially finished basement level. 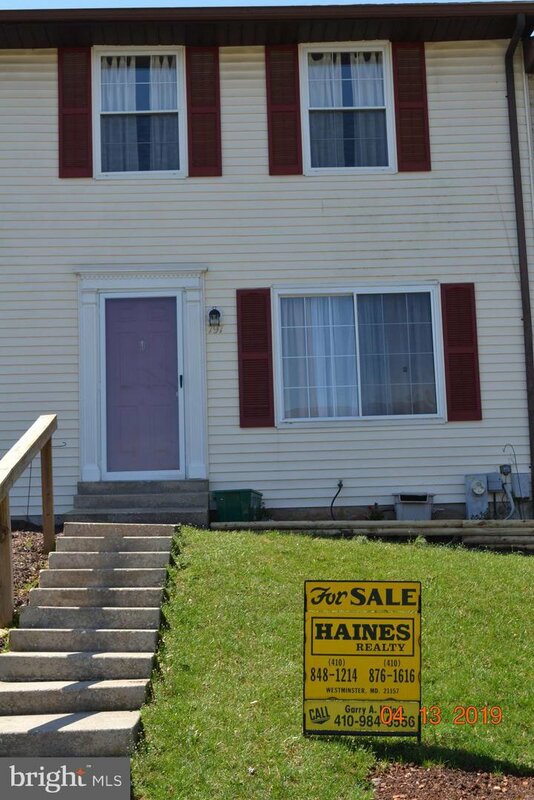 Listing courtesy of Haines Realty.